Two politicians from South Australia, Premier Jay Weatherill and Energy Minister Tom Koutsantonis, are very angry, and they’ve had enough. To the great joy of Malcolm Turnbull, South Australia had a blackout affecting about 90,000 homes and businesses for a short time, with blazing heat and the wind dying off to supply only 2.5% of the power. You can read an account from the ABC, or here, sourced from AAP, listen to ABC RN’s PM segments here and here, catch Giles Parkinson’s comments at RenewEnergy, catch it on the 7.30 Report or read about what they plan to do. This is what I gather happened. If you watched the ABC TV news on Tuesday evening you knew that last Wednesday was going to be very hot in Adelaide and surrounds, and the demand for electricity was likely to be a record. Contrary to what we are led to believe, it is the Australian Electricity Market Operator (AEMO), not the SA government, who is responsible for seeing that enough electricity was available. If they knew anything about the weather, they would have known that the wind often drops towards sunset. Whether they got their calculations right we don’t know, and probably never will, because they supervise themselves. We do know that as the day proceeded they put out a request for extra energy and got no bids. They then approached the Pelican Point gas generator (owned by Engie), who only had one of two turbines operating. AEMO had the power to make Pelican Point turn on the gas, but it was too late. It takes 3-4 hours apparently for a cold start, even if they move heaven and earth. The SA Government also has the power to make Pelican Point fire up in an emergency, which the loss of power to a small proportion of homes and businesses is manifestly not. Anyway, it would also have been too late for them to act. I believe the wind energy dropped from 1000 megawatts per hour to just 100 MWh. And that is the same amount that AEMO couldn’t find – just 100 MW. I think the blackout started at 7.03 pm, lasted about 40 minutes in all, (see Hugh Saddler’s report), and comprised a series of rolling disconnections of blocks of consumers, known as “load-shedding”. In fact, it was not a big event, but it was the third SA has experienced since the big one in September, when the storm blacked out the whole state. The SA Government says that this kind of thing has only happened recently since the particular officer in AEMO who looked after South Australia sadly died. The new bloke is simply not up to the job, they reckon. So why wasn’t the second turbine at Pelican Point operating? Apparently it has scarcely operated at all since the big problem with peak prices last July. The price of gas being what it is, they can’t compete with the other power sources available. In order to fire up occasionally they need to buy gas on the spot market, and it doesn’t make sense. Oddly enough, gas producers are complaining that the price of gas is low, not high. Richard Dennis has interesting things to say about gas (frist published in the AFR). This doesn’t do him justice, but when there is already too much gas in the world, who will invest in gas? Thankfully on Thursday, which was just as hot, AEMO got its act into gear and Pelican Point was fired up in time. Weatherill predicted, they won’t make the same mistake twice, and they didn’t. AEMO was also ahead of the game in NSW on Friday, not without a hiccup, of which more later. So how did we get to this situation? Apparently the story of wind in SA is not the ideological frolic on the part of the SA government alleged by Turnbull. In fact SA is simply one of the best places in Australia to build wind farms, because that’s where the wind blows. No doubt the SA government assisted with planning approvals and smooted the way, but the financial incentives came from the Commonwealth RET scheme. So the actors were the Commonwealth Government, AEMO and the corporates, not the SA Government. Weatherill and Koutsantonis are clearly fed up with being blamed when they are virtual bystanders. They are promising to take dramatic action, which we’ll hear about when they are ready. At the limit, it could involve nationalisation. It seems to be wrapped up with their tender for 75% of the states power needs, currently under review, and is said to involve a new gas-fired power station. The SA government has also been encouraging rooftop solar. 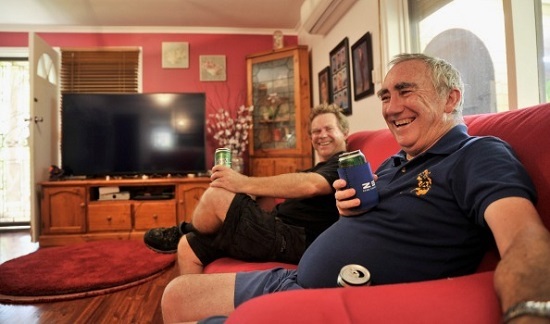 Simon Evans wrote in the AFR how Bruce Wood, self-described “grumpy old prick”, enjoyed a beer with his son while the street was blacked out, because his son Richard’s newly-installed home battery storage system worked while the rest of the street was without electricity. Richard had just installed a new Zen Energy hybrid solar and smart battery system, researched by retired dad Bruce, who lives a few streets away, and whose lights went out. In NSW there was a kerfuffle about turning off the potlines in the Tomago aluminium smelter. Tomago is the biggest consumer of electricity in NSW, accounting for 10-12% of the market. AEMO had warned electricity generators that there may be excessive demand from 3.30 to 5.30pm. Then it calculated a specific shortfall of 189 megawatts from 5 to 6pm, calling for a “market response” and saying it would intervene “as required”. What AGL did was curtail the power to Tomago, making it shut down each of its three potlines for one hour and 15 minutes in sequence, saving I understand 300MW, more power than AEMO had required. This curtailment started at 3.45pm and lasted three hours and 45 minutes. Thus we had stories like Tomago aluminium smelter ‘on the verge of disaster’ as electricity cut off and ‘For God’s sake’: NSW’s biggest power user pleads for AGL not to curb supply. This is actually serious stuff, apart from the loss of production. If the pots are turned off for too long, I think about three hours, they freeze up, as happened at Portland last December, when 200 pots froze during a power outage reducing the smelter capacity to one third. Greg Hunt and Victorian minister Wade Noonan flew to New York, cheque books in hand, to beg the bosses to keep the Portland smelter open. It has cost taxpayers around $240 million so far. Secondly, Tomago had to send out workers to restart the pots in temperatures about 10 degrees above ambient temperature. This is a process that plays out over some days on a 24-hour basis, requiring about 80 staff at a time. AGL put out a spiel about such curtailments being ‘normal’ and about how keeping up supply to homes, businesses and schools (who had no doubt checked off for the week) was their first duty. The suspicion is that AGL was selling electricity thus saved on the spot market, which hit the limit of around $14,000 MWh that afternoon. 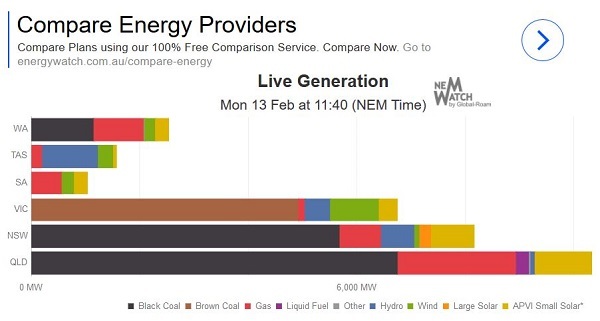 solar (rooftop and large scale) was contributing more than 1GW to the grid during much of the day, and around 500MW in the late afternoon on Friday when the Australian Energy Market Operator had flagged the possibility of rolling blackouts. The strong performance of wind and solar came despite the loss of more than 1GW of capacity of coal-fired power and the sudden withdrawal of two of the biggest gas fired generators on Friday afternoon – at the height of the heatwave and supply-demand crisis. They got due credit from the state minister, but no such recognition from Canberra. A scam has been going on for years by fossil fuel generators especially in the eastern states. Have a read of Giles Parkinson in High energy prices? Blame fossil fuel generators, not renewables. Start with the basic fact that price spikes are happening 40 times more often in Queensland, where most of energy comes from coal, than in SA. According to the AER, there was a network constraint on the border between NSW and Victoria. These constraints are imposed when there is a risk of a network overload, and because of the way the constraints work, it means that the generators in NSW act as sort of “gatekeepers”. If they increase generation, then it forces the Victorian generators out of the market, reducing competition. The NSW generators then “rebid the ramp rates” of their generators down to the minimum allowable by the rules ensuring that the Victorian generators were kept out of the markets for as long as possible. This creates short-term peaks in demand (“spikes”) which they supply at spot prices. AER, the regulator, is supposed to investigate price spikes over $5000/MWh. It seems they don’t investigate each one. However, the regulator only enforces the rules, and the above appears to be happening within the rules. Where a penalty has been imposed it has been less that the profits made, meaning the regulator effectively splits the loot. I’ve inserted this section just before publication, because of a phone call from my brother, who lives about 10km from here. We had truly godawful heat on Sunday, then overnight was a stinker, and Monday cooler, but still hot. Our lights stayed on. They haven’t been off for years. I think that might have something to do with the fire station nearby. It seems that there were rolling blackouts throughout SEQ for about three hours from about 8pm on Sunday night. As people came home the house was like a furnace, so they cranked up their airconditioning and kept it up. The blackouts were not caused of a lack of capacity, it would have to be because AEMO underestimated demand. Some it seems had two periods without power. Probably a million people affected. The stunning thing is that there was nothing in the news about it. Nothing. 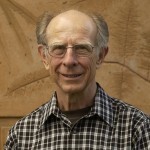 At. All. I Googled tonight for Qld blackouts only find stories about SA blackouts, and some in NSW and Victoria, which mentioned Queensland in the text. Persisting, I found this Energex site, where if you have power you can find out that your power is off. Yes, I do know about smart phones, battery powered tablets and such, but we live without them. At 10.48pm tonight, Monday, there were 1644 customers without power. We’d had a few storms through early in the evening, but nothing unusual. Basically it’s not news, although such events often get a fleeting mention on ABC radio. Chairman Kevin Moriarty says 1414 Degrees’ process can store 500 kilowatt hours of energy in a 70-centimetre cube of molten silicon – about 36 times as much energy as Tesla’s 14KWh Powerwall 2 lithium ion home storage battery in about the same space. Put another way, he says the company can build a 10MWh storage device for about $700,000. The 714 Tesla Powerwall 2s that would be needed to store the same amount of energy would cost $7 million before volume discounts. That is as may be. Not all great ideas make it in the market. However Tesla and others are already there. Tesla is also entering the large-scale market by simply linking a string of refrigerator-size units on a concrete slab anywhere. They’ve just stuck 396 together in the Mira Loma project in California, capable providing electricity for 15,000 homes for four hours. manufactured, shipped and installed in three months. Still a bit expensive, but no doubt cheaper than $14,000 MWh spikes, and much more easily dispatchable than cranking up gas, whose reputation as a quick-fire solution to peaks has taken a hit. There are plenty solutions available. I think everyone has been blind-sided a bit by the hot weather this summer, the way gas availability and prices have affected the system, the seemingly chaotic closure pattern of coal stations, and the behaviour of corporate players. The SA government also believe, with some reason, that the operator, AEMO, has stuffed up, but will always sheet the blame elsewhere. What we need at this point is a calm and rational Prime Minister, willing to bring the necessary players together to formulate a way forward. What we have is a PM and a raving pack of senior cabinet ministers advocating for the coal industry, unmasked by Lenore Taylor (thankyou Ootz), while accusing the states and Labor of going on an ideological green frolic. And dropping the ball on climate change mitigation almost completely. We now know that the Government was told by the public service that renewables had nothing to do with the SA power blackout in September, yet Turnbull and others chose to tell the public the opposite. The Government has commissioned a review of the National Energy Market and associated policies by Chief Scientist Alan Finkel. How much he will compromise to write an acceptable report we don’t know. We do know that the government wants a future for coal and gas, and wants to slow climate change action to a crawl. As Bernard Keane says, Malcolm Turnbull’s conversion to denialism is the sweetest victory of all. Sophie Vorrath reports that Finkel is already being attacked by the lunar right of Alan Moran, Andrew Bolt and Tim Blair. Amazingly, she also reports that Turnbull denies saying the September blackout was cause by anything other than a storm, and denies criticising renewables. So that headline back then Malcolm Turnbull says South Australia blackout a wake-up call on renewables and Daniel Andrews slamming Turnbull’s stuff as “ignorant rubbish” was “a classic case of misrepresentation by the Labor party and by the left generally”. Take your pick, or it could be both, fried brains and evil, but sad for the country. for your comprehensive and sharp analysis. What a pity there are so few nationally-followed journalists with your enthusiasm, acumen and knowledge. This is a never-ending story now. 1. Jennifer Hewett saying that Turnbull was lucky that there were no outages in NSW, because it would have spoilt his narrative, about the stupid, lazy Labor pollies in SA, blackouts and renewables. The fact that there were very widespread outages in Qld has dissolved into the mists. There are no reports, and the Energex site gives no history. If my bro had rung that night I would have done a screen shot and published it. 2. Mr Harbourside Mansions installed a very large solar/battery system in his own home last year. He’ll be OK. The rich can usually protect themselves. 3. Jay Weatherall in an opinion piece says electricity is a public good, and should never have been sold. Withholding power because that is more profitable (selling your gas entitlements on the spot market instead of burning it) is disgusting. He favours and EIS, and argues well for it. 4. The Tomago man saying the smelter will take a week to get back into full production. He says the energy market is stuffed, and wonders how you would feel if you went to fill up your car with petrol, and were told, sorry, right now it will cost you $350 a litre. 5. The AFR editorial uses the typical ‘both sides are to blame’ fence-sitting position. Apparently Bill Shorten is engaging in a private indulgence when Labor set the target of 50% emissions reductions by 2030. Self-evidently so, it seems. No science required. Agree entirely with your thanks to Brian, Ambigulous. Holy Market! Aren’t you glad we all live in such splendour here in Soviet Australia? Not only have these nong-nongs shown they couldn’t even run a chook raffle, let alone a strategically important system – but they rip us off unmercifully while they do so. Alright, I’ve got that off my chest …. now down to a few practical hints. Solar panels and batteries are fine for those who can afford them but not everyone can. 1. At this time of the year, avoid buying foodstuffs that must remain frozen. Once a black-out hits, open your fridge on when absolutely necessary. Learn to eat meals that need no cooking. 2. Learn to live without TV: have a radio that runs on batteries – and keep a couple of sets of spare batteries. The same goes for a torch (=flashlight). Those solar powered garden lights can be as cheap as $3~$4 each and if you charge them up by sitting them in the hot window they’ll charge up enough to give you some light to get around in the early evening without breaking your neck falling over furniture. Beware of candles: they can be a fire hazard. Hey, hang on. Why is it even necessary for me to write this stuff in The Clever Country in 2017? We have always had a couple of flashlights. One is a rechargeable “lamp” design you can read by. We live in a provincial town, and have approx six to ten blackouts every year. Most last only a couple of hours. Not load-shedding. Some occur during storms. When we lived on a bush block, always assumed it was a falling tree or huge branch bringing down a power line. Thought things would improve on moving to a town, but no. We’re near a largeish hospital; that doesn’t help. Sometimes power goes off during the night. The only sign is a flashing oven clock next morning. Privatisation of Victorian SEC has made no noticeable difference. I think everyone should have a flashlight, a tomahawk, a length of stout rope, a box of matches, a can opener and a rabbit trap. Just in case. Brian: Whether or not that was your intention, you have made a worthwhile contribution to an argument for the nationalization of the whole box-and-dice. Leaving aside the traditional arguments for natural monopolies, (and yes, I think the electricity grid is such a natural monopoly), it appears that The Market is what is stifling progress and innovation in the electricity industry. Sadly, molten silicon storage will not have the chance of a snowball in Hell – because the potential financiers of the application of that technology are the same ones who are up to their proverbials with their investments in tulip bulbs oops, I mean, in coal mining and coal-fired power-stations. Every cloud has a silver lining, because state-of-the-art nuclear power stations would also have trouble raising capital. The Australian outback, rather than Chile, could become the site of the myriads of lasers needed to form a 100 Gigawatt beam to drive the interstellar micro-explorers (Australian Science Illustrated, Issue 48, pp24~29). Our capital costs would be lower than that needed for the massive array in Chile. However, so long as the money is controlled by those committed to coal alone and those with an irrational hatred of renewables, that will never happen here. Baked brains or just plain evil in the decision-makers? Both, I say. Graham, my wife read the whole thing. Turnbull rewriting history about what he said about September convinced her that his brain was fried. However, she still thinks his dominant feature is the complete lack of ethics and Morals. she’d put it that way, rather than “evil”. Meanwhile Kristina Keneally has a fun piece Sound and fury: Macbeth, Prince Malcolm, and our unfolding political tragedy. More seriously, the Senate has set up a Select Committee into the Resilience of Electricity Infrastructure in a Warming World. You could lose yourself for a long time reading the 52 submissions, some well worth the effort. …even quoting Peta Credlin as saying that Abbott’s attack on the Carbon Price “was entirely political”. Sadly we have ahd a series of Liberal Alien Face Huggers (Neuman Abbott Newman Baird) whose sole purpose is to leap onto the face of the Australian Public and embed costly ideologically based policies in the belly of our economy, then sloth off once their damage is irreversibly done. I’m just back from a week long feverishly busy first trip to the Netherlands, Maassluis area, where I had the enormous thrill of seeing a several hundred year old fully functional windmill working in the chill air with snow all around. It was a truly exhilarating experience. I managed to get some footage on my phone which once my daughter has spliced the segments into one I will send you copy. Fortunately the Dutch are not so stupid as to follow the thinking of the likes of our Liberal Losers who would certainly be calling for the destruction of such nation building engineering masterpieces. Are you saying the Nederlanders have been using wind power for simply ages? 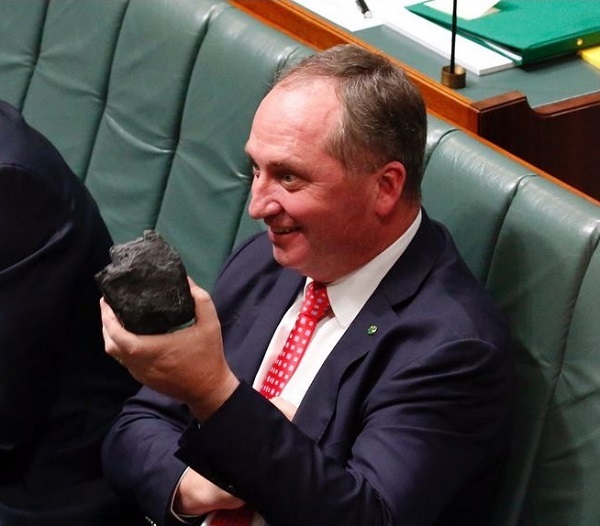 Where’s their commitment to old King Coal??? I thought those gadgets in the old Dutch paintings were giant fans, run by horse power, used to fan the tulip plants to keep the moisture levels just right. What a fool I’ve been. BilB thanks for the link. I can’t be bothered finding Peta Credlin’s opinion piece in the weekend Murdoch press, but be warned, there was on average about one error per sentence. Still, her revelation that Abbott’s stance on climate was entirely politically motivated is useful. Turnbull again has become a copy of his predecessor. The article you linked to is probably more significant for what it says about Republican Bob Inglis, and his Climate Leadership Council. BilB I look forward to the stuff on windmills and will post an image of one in the next CC, due presently. In the AFR today Mark Ludlow writes that AEMO approached Pelican Point about two hours before the excess demand was expected. They were told that it would take 4-6 hours to call in the workers, find some gas, and fire up the unit. Ludlow says that the second unit at Pelican Point has not operated since April 2015, so it was effectively mothballed. Hence they didn’t have a supply of gas reserved. AEMO’s system report page has a report of the SA outage. It seems AEMO put the word out at about 3pm that there was a problem. At 5.39pm they approached Engie directly about Pelican Point. Engie replied at 6.01pm that the second unit could be fully operational by 7.45 for 4 hours. They still don’t know why twice as much as directed was shed. I note that the wind died to produce half as much as they predicted. I’m wondering why they used averages in their model, which virtually ensures they’ll come up short half the time. I also note that they say specifically that nothing happened in Queensland. Really??? The main new information this morning is that the excess load shedding in SA is being blamed on a computer glitch. They say 60,000 more homes than necessary were affected. Now this really is a topic for discussion around the proverbial barbecue! Everyone will have their stories about blackouts in storms…. but caused by hot weather, that’s different. Thank heavens rooftop solar is in synch with hot, sunny days. As more facts and analyses emerge, I think it will be clear that the PM did put the blame on renewables in SA after their big blackout last Spring. As I recall, it was a theme taken up by ABC TV news too. Ambigulous – it was Chris Uhlmann I think on the ABC – sort of an ‘opinion piece’ ostensibly as I recall – but he’s their chief political reporter so of course it carries weight. Both he and Malcolm Turnbull I think used a kind of weasel words approach – ‘we’re not simply blaming renewables, but we want to seize this opportunity to talk about how unreliable renewables are’ – sort of thing. I think Uhlmann might have done it through – sorry can’t think of any polite word – stupidity – but Turnbull is not stupid, so it has got to be something worse than that. How much money does the liberal party get from fossil fuel donors? Just on the blackouts, one more example – I was staying down at Mt Martha on the Mornington peninsula here (Vic) when we had one of the hot days this year, and there were brown outs – that doesn’t make the news either! Only SA makes the news, how odd. However it’s possible that the LNP also gets a fair bit more through “associated entities” like the Cormack Foundation, according to this article in The Conversation. The article also says fossil fuel donations to the ALP dropped off during the Gillard years when the carbon price was introduced. It’s all so transparently corrupt, yet it keeps going on. “Chris Uhlmann” was indeed the name I failed to recall this morning. Val, that’s horrible, but unfortunately quite credible. My daughter lives in Adelaide and says she has quite enjoyed the blackouts. They have gas for cooking and heating. So light a candle and play cards or something. She says it brings back memories of Brisbane in the 1980s when Joh Bjelke was taking on the electricity unions, and NZ after that where they had privatised, closed too many power stations and they had cold water and no heating travelling in the South Island. Val: Donations from people like developers, Adani and fossil fuel companies and….. are one of the root causes of many of the things that are wrong with Aus at the moment. Think climate change, the disappearing supply of affordable housing . The list just goes on. The 14/2 data was interesting Matt. I was particularly interested in what you had to say about Al smelters since shutting or turning them down for a short period is one way of shedding load. I suspect that a number of high power consuming companies would be interested in shutting down for a price. Particularly when the market or other parts of an operation rather than the bit that would be shut down would not be the bottleneck. In effect, reducing power supply to an aluminium smelter is a No-No. This demonstrates that the NSW government has no proper plan how to deal with a power shortage even if it is only 2%. The power shortage in SA was of a similar order. I believe that ‘demand management’, being paid to use less power, is a technique that has been used overseas, but has only been talked about here. Tomago is a big target, because it uses 10-12% of NSW power. But the Tomago man was clear that anything more than half an hour was beyond inconvenient. That’s as I understand it. Brian: That is half an hour per potline, not half an hour absolute. A major user like Tomago is a logical starting point and may help justify low power prices. There are lots of things including coal washeries, draglines etc that can be shut down with little notice and cost very little unless the washery etc. is the sales limiter. Also keep in mind that the problem period is the late afternoon early evening period when solar output drops and domestic demand peaks. What i am seeing is a gross lack of imagination and the idea that demand is sacred and the power supply system has to be sized to meet peaks that may only happen for a few hours per yr.
John, I agree with your last sentence. On Tomago, yes, I understood that the potlines would be turned off serially. However, The Tomago chief interviewed on Radio National, did not seem keen on turning anything off at all. A fair bit of his concern was about health and safety for the staff. At some point, not sure whether it’s after half an hour or earlier but one of the two, they have to manipulate things manually in temperature about 10C higher than the ambient temperature. The operator of South Australia’s Pelican pointSecond gas-fired turbine says that this turbine hasn’t bee viable for years: Problem is that it is only going to be used on rare occasions and, even at very high spot power prices, keeping it ready to run simply doesn’t make financial sense, particularly since the amount of time it would be needed varies from year to year. If South Aus really wants back-up gas fired power it needs to use competitive tendering to set up “standby contracts” to ensure that it has the standby capacity it thinks it needs. Setting up contracts provides prospective bidders with the certainty they need to make competitive bids as well as the certainty to do major maintenance.